North Face Reversible Jacket Size Youth Medium. Condition is Used. Dispatched with Royal Mail 2nd Class. 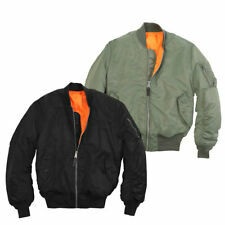 Boys Mayoral Reversible Jacket Age 8 Years. Condition is Used. Dispatched with Royal Mail 2nd Class. · Waterproof. · Fully lined (cosy Terry interior). Grab yourself a real bargain. Boys jacket north face XL Condition is Used. Still plenty of wear left Dispatched with Royal Mail 2nd Class. Boys Coat. Green Coat From Zara. Age 6. 3-in-1. Boys green Zara Coat. 3 coats in one. Only selling due to son no longer fitting in it. Detachable “fur” on hood. Size 6. Boys reversible gilet black on one side with pockets. Camouflage on the other side. Condition is Used but as good as new. Possibly fit boys aged between 7 and 9. Dispatched with Royal Mail 2nd Class signed for. So versatile as it is reversible and the care label is hidden in the pocket. Fantastic condition. Suitable for machine washing. Sold as seen. Outer polyester, which I would say is shower proof rather than waterproof! STILL IN GOOD CONDITION BOYS TIMBERLAND REVERSIBLE JACKET OTHER SIDE IS CARDIGAN, LABEL READS AGE 3 BUT I HAVE LISTED AS AGE 2-3 AS FOUND SMALL, LOVELY FOR WINTER. 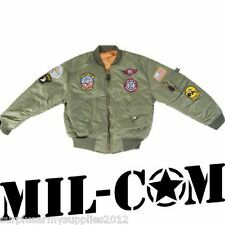 Reversible powder blue, navy blue, cool embroidered writing on the back of the navy jacket. 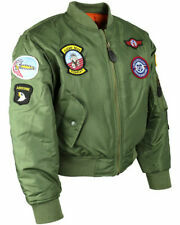 this is a gorgeous retro style jacket. 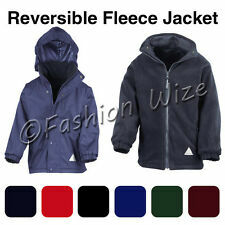 LOVELY QUENCHUO BOYS REVERSEABLE HOODED COAT. ORANGE ON ONE SIDE, FULLY ZIPPED, 2 X POCKETS, HOOD AND ON THE OTHER SIDE ITS PATTERNED ORAGE & BLUE WITH 2 X POCKETS, ELASTICATED AT BOTTOM & CUFFS, MACHINE WASH, FRESHLY LAUNDERED. Zip up front with hood. Size 24 months (2 years). Boys Navy/Black Smart Jacket aged 6-7. Condition is Used. Dispatched with Royal Mail 2nd Class (2 to 3 working days). Hatley boys gilet age 5. Reversible: black bears on blue on one side, pale blue on other. Armani Junior Reversible Jacket.Boys Age 11 to 12 , Used but in excellent condition. Selling as now to small . From a smoke and pet free home . Dispatched with Royal Mail Signed For® 2nd Class. REVERSIBLE PUFFA/BOMBER JACKET BY DESIGUAL. ONE SIDE IS A RED, BLACK, GREY, WHITE AND YELLOW PLAID/CHECK DESIGN WITH THE TEXT "DREAM ON DESIGUAL" ON REAR AND THE REVERSE IS PLAIN BLACK WITH YELLOW EMBROIDERED MOTIF ON CHEST. I paid £100.00 new but my son gone to try it on and it’s too small. BOYS HELLY HANSEN BELFAST WATERPROOF JACKET - AGE 16 - WHITE/EBONY - HELLY TECH. 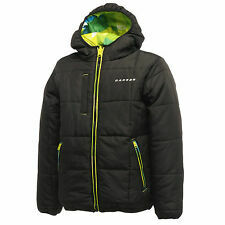 BOYS HELLY HANSEN BELFAST WATERPROOF JACKET - AGE 16 -. BOYS HELLY HANSEN BELFAST WATERPROOF JACKET -. Helly hansen's stylish belfast jacket with its sporty detailing will keep you dry and looking great. 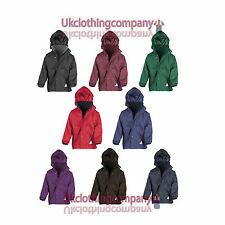 Kids 3-in-1 Padded Zeroxposur Hooded Winter/Ski Jacket with free gift of matching knitted beanie. Outer Jacket has Velcro Storm Cuffs, Faux Fur Lined Hood, an exterior Zipped chest pocket along with two side pockets and an inside velcro fastened pocket.